›3M MMMR33024VAD Post-It Pop-Up Note Pads 300 Paper Per Pack, 3 x 3 in. 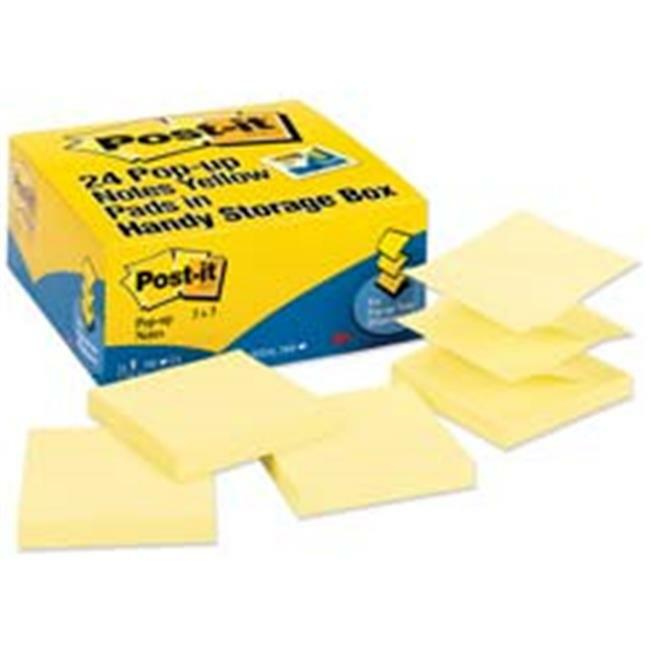 Value Pack of Post-it Pop-up Refill Notes is designed for use in Post-it Pop-up Note Dispensers (sold separately). Pop-up notepad offers the convenience of grabbing just one note, with just one hand. The accordion-style notes pop up one at a time from a specially designed pop-up dispenser (sold separately), keeping the notes at your fingertips. Repositionable adhesive won't mark paper and other surfaces. Paper used comes from well-managed forests where trees are replanted. Each pad contains 100 sheets.